Not a big fan of long reviews? Here's the bottom line: The best 30-ton log splitter on the market today is the North Star GX200 Horizontal/Vertical Log Splitter. Its powerful Honda engine and high-quality build raise it high above the competition, while the auto-return splitting ram makes it perfect for industrial-size workloads. When it comes to splitting truly big logs, your options are limited. While you can attempt to split these logs with a hammer and a wedge, you’re going to have to spend a lot of time and effort. The better option is to make use of a 30 ton log splitter. While they aren’t the absolute most powerful log splitters on the market, these splitters are capable of splitting the majority of large logs that you come across. Why Buy a 30 Ton Log Splitter? There is really only one reason to buy a 30-ton log splitter, and that is to split a huge number of large logs. If you’re dealing with logs that are 15 inches in diameter or greater, you’re going to need a log splitter with 30 tons of force or more. 30-ton splitters are most commonly bought by companies who need to cut large amounts of wood in a very short time. However, they are also purchased by individuals who have a need to split large amounts of firewood. If you’re only dealing with small and medium sized logs, you can easily get by with a 7 to 12-ton splitter. But if you’re trying to split truly enormous logs on a consistent basis, you’re going to need a 30-ton log splitter on your side. At first glance, all 30-ton log splitters seem to be about the same. However, when you start to look closer at them, you start to see the radical differences that they possess. There are a number of things to consider when perusing 30-ton log splitters. These things include construction quality, portability, splitting ability, and ease of use. Construction: Log splitters are subject to tons of abuse whether they’re located in workshops or heavily wooded areas. Because of this, they need to possess excellent construction quality. If they can’t withstand the various types of abuse that they’re prone to, they’re essentially useless. The vast majority of log splitters are made out of tough and durable steel. Typically, as long as it’s made out of steel, your log splitter will suffice. Use: Some splitters are easy to use. Others are an absolute pain in the neck. Equipped with different types of buttons and levers, few log splitters are identical. Make sure that the operation of your desired splitter is not only simple, but safe. You shouldn’t have to exert tons of force in order to make it work. Some splitters are easy to use. Others are an absolute pain in the neck. Equipped with different types of buttons and levers, few log splitters are identical. Make sure that the operation of your desired splitter is not only simple, but safe. You shouldn’t have to exert tons of force in order to make it work. Commercial: Commercial log splitters are the king of all log splitters. These splitters provide top-notch power, splitting consistency, construction, portability, and otherwise. If you’re looking for the type of log splitter than the professionals use, this is what you’re looking for.Commercial log splitters are characterized by their ability to split logs both vertically and horizontally. Because they’re equipped to handle large volumes of logs, they are typically designed to work faster than all other log splitters. These log splitters are powered by gas. Standard Gas-Powered: A step below commercial log splitters are standard gas-powered log splitters. These can be used in industry, but are most often owned by individuals who need their splitter to provide both power and portability.Typically much cheaper than commercial log splitters, standard gas-powered log splitters, can often only split wood in one direction; typically horizontally. They’re not quite as fast as commercial splitters, but are still more than capable of getting the job done. Hydraulic: The third type of 30-ton log splitter is the hydraulic log splitter. Hydraulic log splitters are powered by pumping pressure into their air canisters. Because you have to pump them, they take a lot more energy and effort to operate.Hydraulic splitters are typically not equipped with wheels, making them a lot less portable than other types of splitters. They’re best used by homeowners who have a need to split large firewood in small amounts. We’ll begin our reviews of 30-ton log splitters by discussing the NorthStar GX200 Horizontal/Vertical Log Splitter. This is arguably the best commercial log splitter on the market today. While it’s on the expensive side, it has construction quality, portability, and overall functionality that make it worth its price tag. The best commercial log splitter currently on the market, it’s capable of splitting logs both vertically and horizontally. Made out of tough and durable steel, this splitter is equipped to handle the wear and tear present in heavily wooded areas. For portability purposes, it’s equipped with two tires and a truck hitch, allowing you to take it anywhere with ease. This is good because, weighing in at almost 600 pounds, it’s close to impossible to drag around by hand. Powered by a 30-ton log splitter Honda GX200 engine, this splitter consistently splits logs of up to 16 inches in diameter. With an auto return splitting ram, it allows you to load while it readies itself. All in all, it’s the premier log splitter on the market today. If you’re looking for the best wood splitter for the money, you might be interested in this one from WEN. Available for a relatively low price, it is currently the best log splitter for the money. Possessing wheels and a truck hitch, it’s right on par with other gas-powered splitters as far as portability goes. The same goes for construction. Made out of steel, it’s tough and durable enough to withstand loads of wear and tear. Where it falls behind other gas splitters is in its cutting ability. It will consistently split logs of up to around 10 inches in diameter. This isn’t bad, but is not quite on par with higher-end version. At its peak, it can split logs of up to around 14 inches in diameter. If you need a relatively cheap, but powerful log splitter, this is the one for you. Another very reliable gas log splitter that can serve both personal and commercial use is the YARDMAX YU3066. Characterized by top-notch construction, fantastic portability capabilities, and quite a bit of splitting power, it’s a little expensive but worth its price. This splitter is made out of tough and durable steel, allowing it to thrive in all types of environments, from workshops to heavily wooded areas. Sporting tires and a truck hitch, it can be easily taken from place to place via automobile. This is good because its extraordinary 572 pounds are almost impossible to lug around by hand. Capable of consistently splitting logs up to around 13 inches in diameter, it can, at its peak, split logs up to around 15 inches in diameter. Like the other splitters on our list, it can split wood both horizontally and vertically. If you need a gas-powered, 30-ton splitter for personal use, this could be a great splitter for you. If you’re looking for a log splitter with a 30-ton log splitter hydraulic cylinder, you might very well be interested in the Titan Attachments LSWX350​ Hydraulic Log Wood Splitter. While it requires a little more effort to operate when compared to gas-powered splitters, it’s also available for a more reasonable price. This is also the best hydraulic log splitter in our review. Capable of both horizontal and vertical splitting, it consistently splits logs up to 24 inches in length and around 14 inches in diameter. So, compared to some gas-powered splitters, it actually does a better job of splitting. Of course, as a hydraulic splitter, it’s glaring flaw is its lack of portability. Unlike gas-powered splitters of its power, it’s not equipped with wheels and a truck hitch. Because it weighs in at a staggering 570 pounds, it’s nearly impossible to move. But, if you’re looking for a reliable 30-ton log splitter to keep in your garage or workshop, this will accommodate. Next, is our Brute log splitter review. 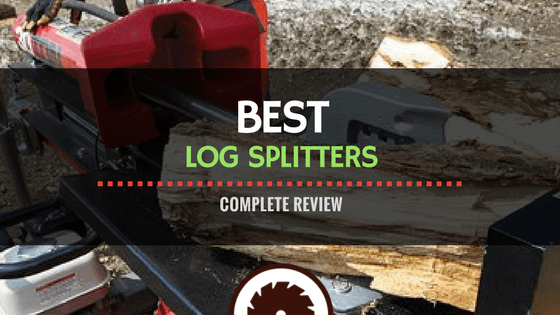 This 30t Brute Log Splitter is just a small step below the NorthStar splitter reviewed above and it is also the best gas powered log splitter in our review. Powered by a forceful Briggs & Stratton engine, it consistently splits logs of up to around 13 inches in diameter. At its peak, it can handle diameters of around 15 inches, but with less consistency. It’s made out of tough and durable steel, and is capable of withstanding almost any type of wear and tear that comes its way. Equipped with two tires and a truck hitch, it can be seamlessly connected to your automobile for convenient transportation. 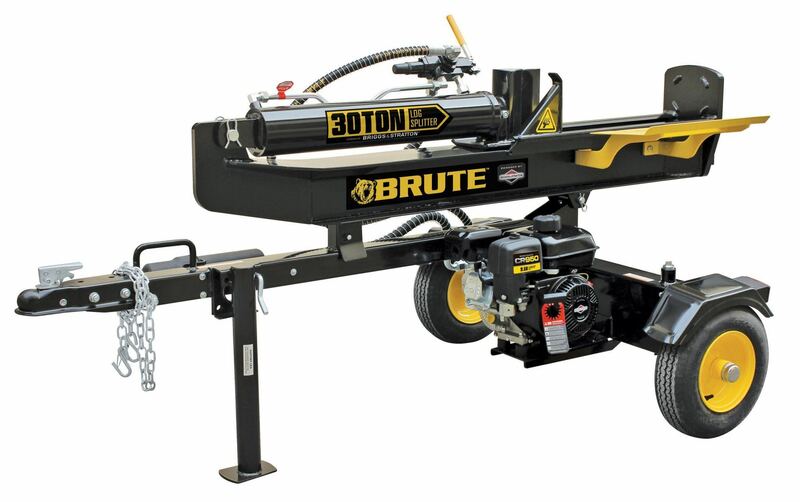 The best standard gas-powered log splitter on the market, this Brute log splitter is available for a mid-level price. 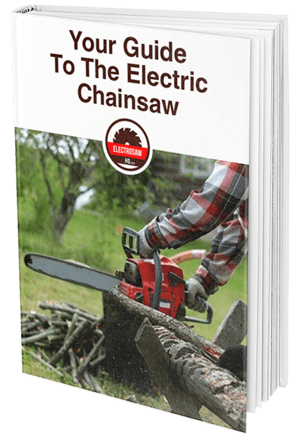 If you’re an individual who has a need to split large amounts of large logs, you just might appreciate this Brute 30-ton log splitter review. There is no more efficient way to split tons of large logs than by using a 30-ton log splitter. A 30-ton log splitter will save you not only time, but effort as well. 30-ton splitters are available at all levels, from commercial to standard gas, to hydraulic. The overall best 30-ton log splitter on the market today is the NorthStar Horizontal/Vertical Log Splitter. Equal parts portable, durable, and functional, it consistently splits logs up to 16 inches in diameter. Don’t waste time trying to split huge logs with a hammer and wedge. Buy a 30-ton log splitter and let it get the job done for you.